As a new client to Animal Health Services in St Catharines, ON, you can expect our full attention to your pets’ needs. Our service will be provided with courtesy and respect. 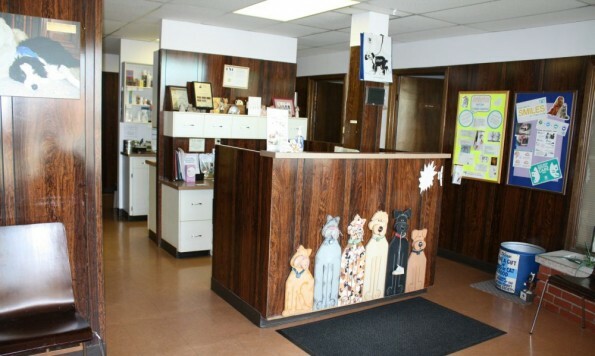 When you arrive at our Animal Hospital, you will be greeted warmly, and we will usher you into an examination room as soon as we have one available. Our goal is to see all of our clients and patients on time, and although we have contingencies for emergencies, there will be times where the unexpected will create delays. We will ensure these are minimized as much as possible. You will normally see a Veterinary Technician, or receptionist first who will take your personal information, history, and gather some data for the doctor. A veterinarian will see you next, examine your pet, answer your questions and plan further diagnostics or treatment as necessary. Our client care specialists will handle billing and schedule any needed follow up.